Ship Of Theseus is an Indian independent film released on 19th July 2013. 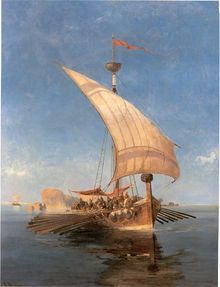 The title alludes to the paradox often referred to as the Ship of Theseus. It is a film directed by Anand Gandhi, Produced by Sohum Shah, Mukesh Shah, Amita Shah and Actors include Aida Al-Khashef, Neeraj Kabi, Sohum Shah. I have to draw opinion and assurance about my own art away from what everyone else says. Why is it so amazing to not have any limits or doubts? A frog once asked a centipede how is it able to walk on a hundred feet, so gracefully synchronized while the frog finds it difficult to manage even two. The centipede took a moment to analyze its own walk and was baffled. So as it tried to walk further its feet got entangled and it tripped. When I first started taking pictures, I was very much amused by the character of the perfumer in Suskind's novel. Just the idea of a man trying to capture every scent, starting from the people to the surroundings to experiences. You know, it was very much amusing. You know how you doubt sometimes, if what you remember is your own experience, some dream or something somebody told you that you pictured so well that it became your own memory. Rituals are symbolic theater. Once you have accepted the symbol, or the truth behind the symbol, there is no need to stress on it all the time. There was an island and you were to be reborn as a tormentor or a slave. The tormentor would make life hell for you, will give infinite pain to you and your kin, just for his pleasure. And he had no remorse over his actions to crush his victim. Add to that there was no karma, no soul, no retribution, no being responsible for your actions. And you had to choose any one of them. Who would you be? I guess we agree with reason, but now it’s a matter of disposition. We are all blind men trying to see the elephant. Just cut down on the sentimentality a bit. We must address people's reason more. All ethics must be arrived at in isolation of religious beliefs. Every action or inaction leaves behind a karmic record. Now that you have saved its life, will you also give it a proper upbringing and a good education? What if it was the worm's karma to just lie there and get crushed? Or worse, the worm was trying to commit suicide and you've put it in the pot, and now it has to crawl it's way back to nirvana. I have one which is equally terrible. Which email can attain cyber enlightenment? One that has no attachments! I got you a gift. Alphabets. It's amazing how we imagine that just these few alphabets will someday arrange themselves in a way that everything will suddenly make perfect sense. A permutation of known words suddenly bringing forward a previously unknown meaning. It's so oppressive, this obsession with final answers. We invent God, soul... heaven, afterlife...even life-imitating technology, all sorts of transcendence to cope with the idea of an absolute end. And then, we die for an idea that promises us some sort of immortality. It gives me some kicks though, to know that, a part of me was a part of an animal once, a flame, a star. A part will become mineral, flow in a plant, sprout in a fruit, get pecked by a bird. Every atom of my body will be recycled by the universe. You think you are a person but you are a colony. A microcosm which has ten times more bacteria in its body...than it has human cells. U for Unilateralis Cordyceps. The fungus enters an ant's body through its respiration. It invades it's brain and changes how it perceives smell, because ants do everything they do from their smell of pheromones, right? So this microscopic little fungal spore, then makes the ant climb up the stem of a plant and bite hard on a leaf, with an abnormal force. The fungus then kills the ant, and continues to grow, leaving the ant's exoskeleton intact. So, a small fungus drives an ant around as a vehicle, uses it as food and shelter and then as the ultimate monument to itself. And when the fungus is ready to reproduce, its fruiting bodies grow from the ant's head and rupture releasing the spores, letting the wind carry them to more unsuspecting food. There, our entire idea of free will down the bin. One single small fungus spore does that to an ant. You have trillions of bacteria in your body. How do you know where you end, and where your environment begins. Monks are supposed to be celibate, then why this much intellectual masturbation in first place? It's some sort of a fungi master plan. Looks like a collective mind dispersed over a vast landscape. This has always made me wonder... if survival has flourished so well at a single cell level, why the need to evolve to more complex forms? - Maybe, to be able to ask questions like that? - Well according to Spore, the objective is to colonize outer space. Life at a single cell level realizes that the planet won't be enough someday, and it will need to move onto others. - Wow. Who is Spore? - It's a video game. Acha aap batao, zindagi mein kya chahiye? Khushiyan? Aur thodi bahut manavta honi chahiye. Itna kya kaafi nahi hai? Mein agyani hun, gawar hun yeh kahena ek baat hai par mein sab kuch paise ke liye karta hun yeh kahogi toh chubhe ga nahi mujhe? Aapke issi swabhav ki wajah se maa tang aa gayi thi. Bade bade logon ki khokhli baaton se dur bhaag jana chahti thi. Apni zindagi kissi bade udeshya ke liye de dena badi bhaari apeksha hai… Kissi se bhi! Toh aapne kaunse jhande gaad diye! Kaunsi duniya badal daali? Desh aazadi ke liye lad raha tha toh aap maa ko padosiyon ke yahan chhod kar chali jaati thi gaaon gaaon logon ko batane ke liye - condom pehno condom pehno! Hogayi kranti? Hogayi samajh seva? aap ke kaam se kuch bhi farak padha hota toh yeh sawa sau karod kahan se aa jate! The most significant film to have come out of India in a long time. This page was last edited on 17 February 2018, at 16:22.